Dropped off August 2003, kicking squealing and biting. Very unhappy pony. Does not like males, forks and rakes. The story that came with her; she was abused. Trailblazers are working hard to gain her confidence. 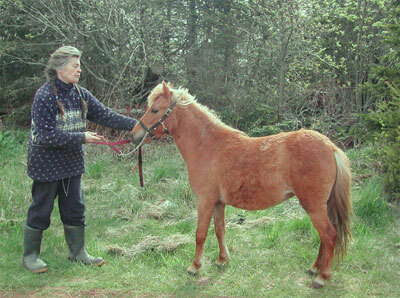 We hope to have a driving pony by the summer of 2005.